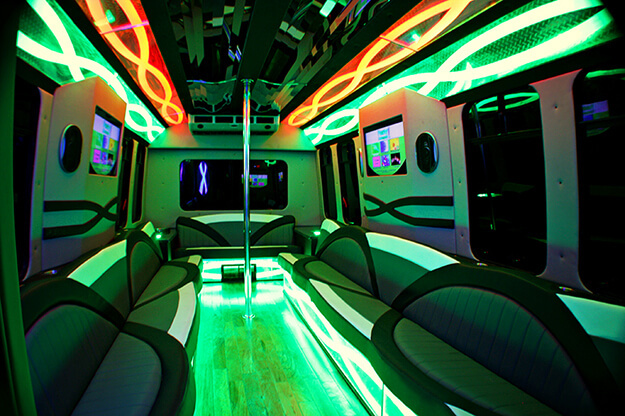 Our 24 passenger party bus is one of a kind. 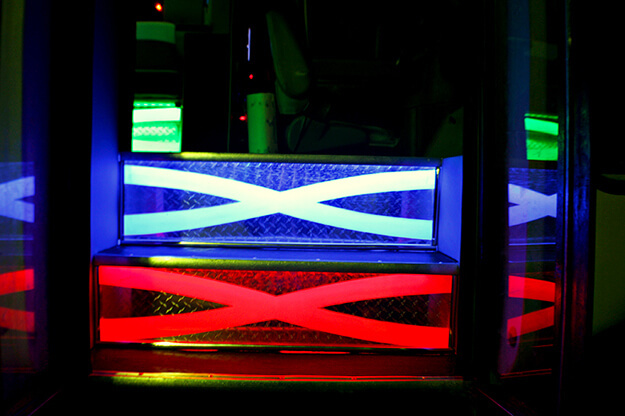 It has several color changing lights hooked up to a controller to do different light shows. It has a loud sound system with two 12" subs and two sets of 6x9 speakers that are very loud and iPod compatible. The vehicle has a DVD player with three flat screen TVs. 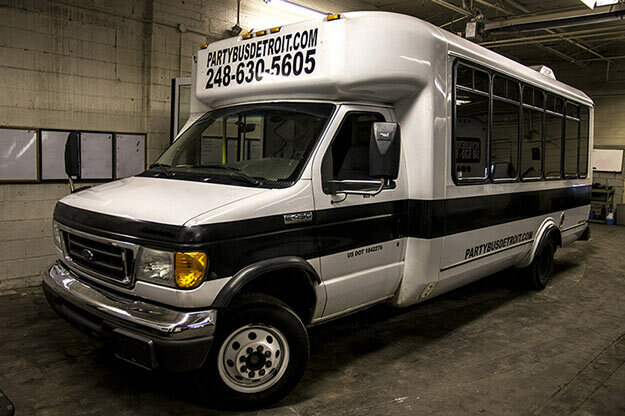 It has custom leather seating and hardwood flooring. There is two coolers built into granite bar tops stocked with ice.